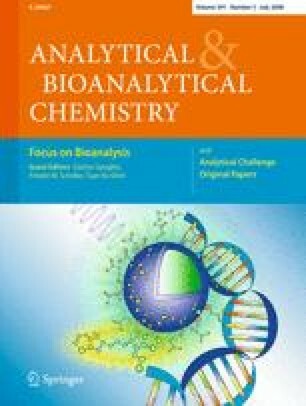 The increasing importance of biological analytes in chemistry has triggered the development of a vast number of techniques for rapidly assessing them. Aside from microbiological test methods, a wide range of analytical sensor and detection methods are being developed. Within this article, we review the literature on this topic from the last five years, stressing two main aspects of method development. The first aspect is the design of novel analytical strategies and transducers to generate signals more sensitively, more rapidly and more efficiently. Most of the progress in this field has focused on electrochemical detection, although novel approaches to optical and mass-sensitive measurements have been reported. Second, we provide an overview of two main approaches to creating artificial interaction layers for sensors based on tailored interaction sites in polymeric or biomimetic systems. The most prominent of these approaches is (molecular) imprinting, where selectivity is achieved by directly templating a polymer material with the target analyte or a model compound, thus achieving biomimetic interaction sites within both thin films and particles. Sensors as means for rapid analysis gain increasing interest and importance in bioanalyte sensing. This article reviews recent developments in the design of transducers and artificial recognition membranes for assessing different biological species.